Watching movies, I’ve grown up in awe of those amazing shots probably taken from a moving helicopter. Try as I might with my mother’s clothesline or even lots of balloons, I just can’t seem to do that smooth continuous shot with these things and no, buying a helicopter is out of the picture. So when I knew all about drones and mountable cameras, I immediately bought myself one. The moment I heard the propellers spin, I heard the inner Spielberg in me say; “Today is your Lucky Day”. 8 Factors To Consider When Picking The Best Drone For Filming. Admit it, as much as we love taking pictures of the sky, from where we are, it really is different when you know how much everything looks from above. 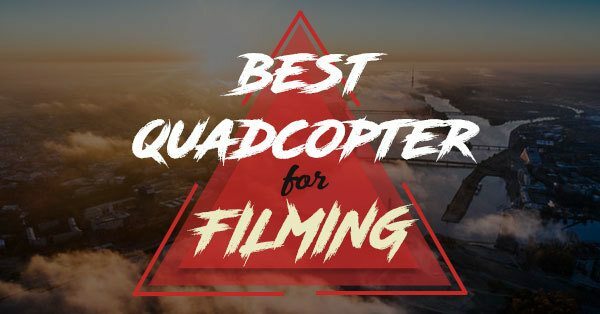 To help you with your quest for the best drone for filming, here’s a comprehensive guide made for future award-winning directors. For it's price, still a decent drone for filming. Good aesthetics. Perfect for professionals willing to invest in a great drone. 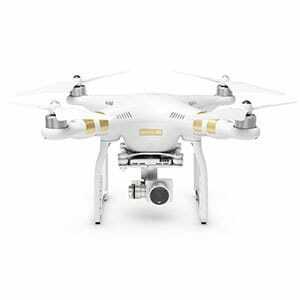 The DJI Phantom 4 is the mothership of all filming drones and offers enough features to make helicopters jobless in the film industry. 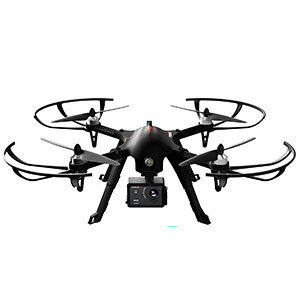 PERFECT for professionals that are willing to invest in a good filming drone. It comes with its own 20 MP camera which shoots in 4K resolution and 60 frames per second. Its actual flight time of 28 minutes (!) can give you longer clips and will make each charge worth the wait and with 2 spare batteries with the bundle, you really have a swell time in flying. The Phantom 4 has a 5-direction obstacle avoidance system feature which means it will take a lot to actually dent this drone. With superb transmission and camera range, despite its price tag and slight phone compatibility issues, the Phantom 4 still proves why it’s one of the best drones for filming. Long range transmitter and camera (Up to 1500 m and 1200 m respectively). High-Quality Camera provided with the package. Expensive. Definitely not a budget-friendly drone. Intermediate-Grade drone. Not advisable for beginners. Incompatible software with new phones. When I used it at first, it did not sync with my S8. 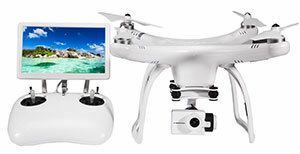 To check DJI Phantom 4's latest price, click here. It’s not a surprise that the Phantom 4’s older brother is next on the list. If you’re looking to save a couple of hundred dollars, you can purchase the Phantom 3 because it’s relatively cheaper than DJI Mavic Pro and DJI Inspire. 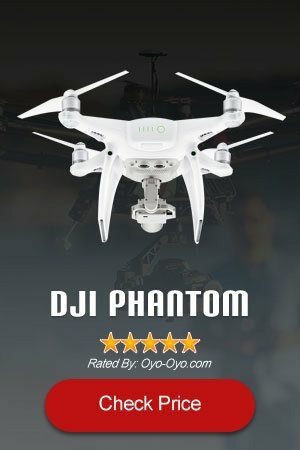 Great alternative to it's Phantom 4 sibling and suitable for both newbie and pro. With its Point of interest mode and assisted indoor flight modes, you can hover your drone smoothly depending on what you need. The Phantom 3 has 25 minutes of flight time and an effective transmitter range of 1200 meters, so it can certainly give you a good aerial shot. It also comes with a 12 Megapixel camera which is a fairly OK video camera in today’s standards. What I liked about the Phantom 3 is that it is somewhat beginner-friendly compared to the Phantom 4 Pro since I had no problem handling it at first. However, Phantom 3 falls second on our list simply because the Phantom 4 is a much stronger drone in terms of battery life, interface, and overall flying experience. Interchangeable hover mode gives ease of use especially in demanding shots. Beginner friendly. Still easy to fly despite being an intermediate-grade drone. The price is still expensive for an old model. Weighs a lot compared to other drones in this category. The transmitter’s signal is choppy at a certain range. The Upair One gives the phrase “bird’s eye view” a new meaning. What makes this drone a standout among others is its 7-inch screen rigged to the transmitter which allows you to see what the quadcopter is seeing. I love this feature the most since you only just need to set-up 2 things instead of the usual 3 with the smartphone. Besides the screen, the Upair One comes with a standard camera capable of shooting at 4K resolution. Coming with the standard functions such as return home keys and switchable flying modes, the Upair One is a pretty much a decent drone by itself. 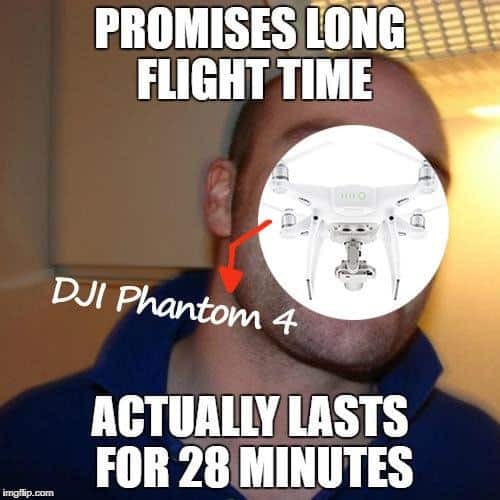 Compared however to the Phantom, its 17-minute flight time is short given that the drone will mostly be used in filming and taking multiple shots in one go. 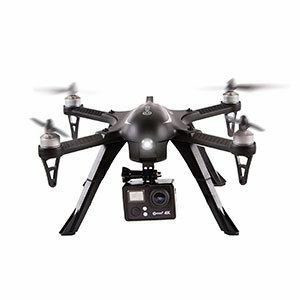 Nevertheless, with a transmitter range of around 800 meters and with the price just a little over 300 bucks, this drone is perfect for an entry-level filming quadcopter. Affordable. 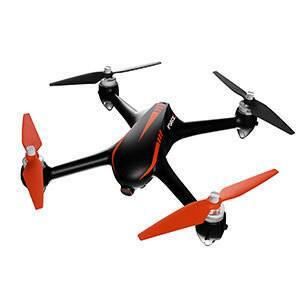 Relatively cheap for a filming drone. Lightweight compared to drones in this category. Loss of control at a certain range. Takes a long time to charge. While most drones on the market come in white plus another color, the Force 1 drone comes in a neat Orange and Black look. The quadcopter also features LED lights which makes it good for nighttime flying. But mind you, the Force 1 isn’t just aesthetics. The Force 1 boasts a flying time of 20 minutes with a mounted camera and it also comes with a 1080P Camera. Not really the best camera but it comes with the package so I’ll take what I can get. The one key take-off and landing feature is very convenient for beginners struggling to push their drone airborne. But while most filming drones can go up to a kilometer away, the Force 1 struggles on that category seeing as I was only able to push it just a little over 300 meters with a few transmission problems. I’d recommend this as a good aerial photography drone but not really a one for filming. Short transmission range for a filming drone. Takes a long time to configure. The camera isn’t enough for High-quality filming. The F100 Ghost is a drone that is easy to carry around. Weighing around 1 pound, the ghost certainly lives up to its name in terms of its seemingly weightless feature. Great for filming on the go. When it comes to aesthetics, the F100 is fun to play with its interchangeable shells allowing you to pick a color. Performance-wise, the F100 is actually not that bad. With a 12 to 15-minute flight time, up to 400 meter range, and a 1080P Action camera, the quadcopter does a decent job of taking decent films. Unfortunately, the F100 falls behind in terms of camera handling and battery. The mount just isn’t tailored to fit perfectly with my GoPro which is a big issue since dropping your camera from extreme heights is any drone pilot’s fear. I’ve also had issues with the charging times - it’s just damn too long. Good thing extra batteries are included which kind of makes the battery a minor issue. Cheap for a drone with a camera in the bundle. Comes with an extra battery. Decent air-time for a light drone. Gets easily carried away by strong winds. The F17 comes with a very nice 16-megapixel camera which has no problem taking 4K resolution footages. Powered by brushless motors with an aluminum frame, the drone packs a punch with its price just over two-hundred dollars. Great for professionals that are willing to invest in a good photography drone. The Contixo F17, however, falls short when it comes to the most important aspect of filming which is flight time and range. The quadcopter can only go up to a hundred or so meters at a maximum of 10 minutes air-time which is a real bummer since it came with a really nice camera. The maximum range means a lot when it comes to filming since it relates to the maximum ground your drone can cover in your footage, and the airtime well, it speaks for itself. Comes with a really good camera. Short Flight range. Not much you can do with this. Expensive for a drone capped at these features. Short Air-time. Not enough for a filming drone. Factors To Consider When Picking The Best Drone For Filming. There are a lot of available drones for filming and all claim to be the “best” in doing just that. However, being the best is more than just a description of the box but also being able to meet certain standards. After all, what good films are without standards? This is probably the most important factor. A quadcopter having a decent flight-time will certainly be able to do a lot more in one voyage. Flight time is also important because the drone will be carrying all these extra weights and will require more power to support it being airborne. When picking your drone, always try to find out the maximum flight-time for the drone with and without accessories. Unlike other drones, we give emphasis on the importance of interface and features of the drones, especially when talking about filming. 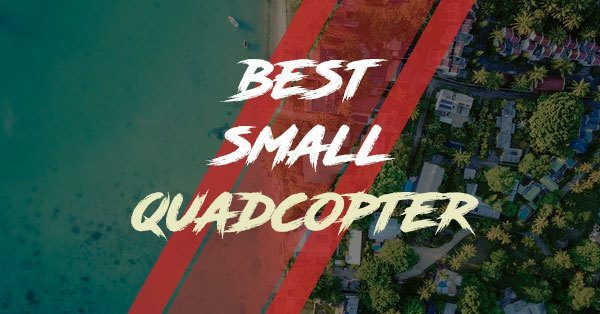 From integrating GPS to conveniently positioning your drone, switchable hover mode features, and return-home keys, these things are a big help when it comes to ensuring you get the best quality of your shots. So aside from looking at the technical specs of how your quadcopter is built, it is also important to look at the interface your drone has. Last but not the least, what good is a filming drone without a camera? Since most drones come with a GoPro mount, we will be talking about cameras in General. Standard cameras come with 1080P resolution however, you can get more with cameras offering to shoot at 4K resolution. You should pick a drone whose camera offers high-resolution imagery and supports a large capacity storage device to ensure smooth recording during a run. 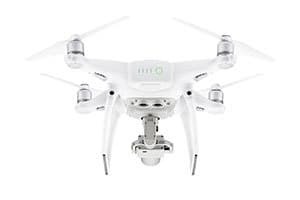 Overall, the DJI Phantom 4 takes the title of the best drone for filming. Considering the cost of the drones placed in this category and despite being the most expensive, the Phantom 4 proves to be cost-effective in terms of delivering good footage and filming experience. The Phantom 4 proves to be the best filming drone in the market with its improvements from previous Phantom models which has given it an exponential advantage over its predecessors. Every year, more and more movies get produced with amazing aerial cinematography but with a hefty budget which leave us wondering if we can ever catch up as future filmmakers. If you’re an aspiring filmmaker, it’s a given that you strive to get the best shot in with every reel because quality in every aspect of the art is important. Knowing how drones paved the way for a lot of advancements in aerial photography, having a filming drone is a big edge if you want to be a good director someday and seeing as you’ve reached this part, you probably are. So pick a drone, take it to the sky, and let your creativity get the best of you.